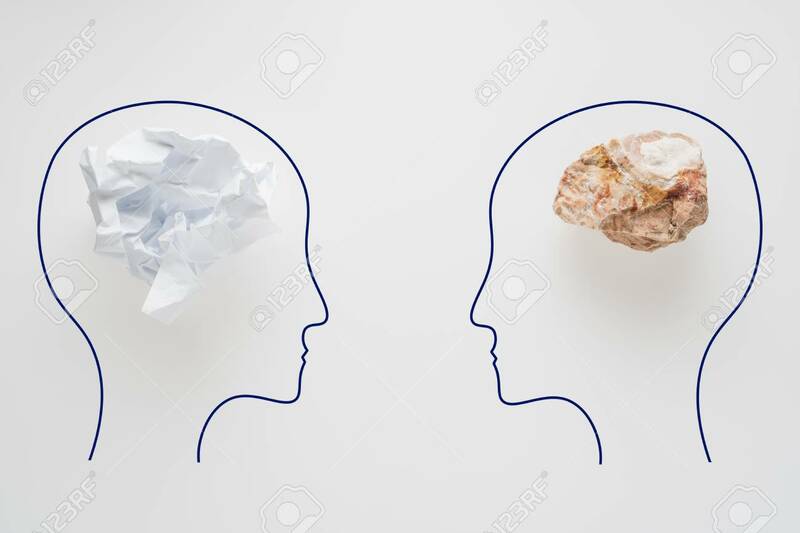 Heads Of Two People With Crumpled Paper Brain Shape And Stone Brain Shape. Two People With Different Thinking. Rational And Irrational Thinking. Idea And Teamwork. Creative Business Concept. Lizenzfreie Fotos, Bilder Und Stock Fotografie. Image 106354219. Standard-Bild - Heads of two people with crumpled paper brain shape and stone brain shape. Two people with different thinking. Rational and irrational thinking. Idea and teamwork. Creative business concept. Heads of two people with crumpled paper brain shape and stone brain shape. Two people with different thinking. Rational and irrational thinking. Idea and teamwork. Creative business concept.